What are the key points to attract university students? How to recruit international students from a university? How to improve university student recruitment in international enrollments? Each university has an international relations office, that deals with incoming and outgoing students. If your institution has a strong background in partnerships, setting up a new agreement with a university can be another source of candidates for admission. This university student recruitment move is trick because you have to make sure that the relation is balanced : you have to send similar profiles to this university, in terms of quality of academic level and budget, but also in terms of volumes. Some institutions report a lack of diversity because of a concentration of active partnerships that bring too many students from the same country, city or even from the same classroom. This diversity issue is important because if students don’t mix with local students, they will get the same experience as tourists, and their experience will not bring powerful value to your branding. That is why HigherEdMe helps institutions to mix and enlarge their acquisition funnel, from partnerships to freemovers, and works on a global scale. 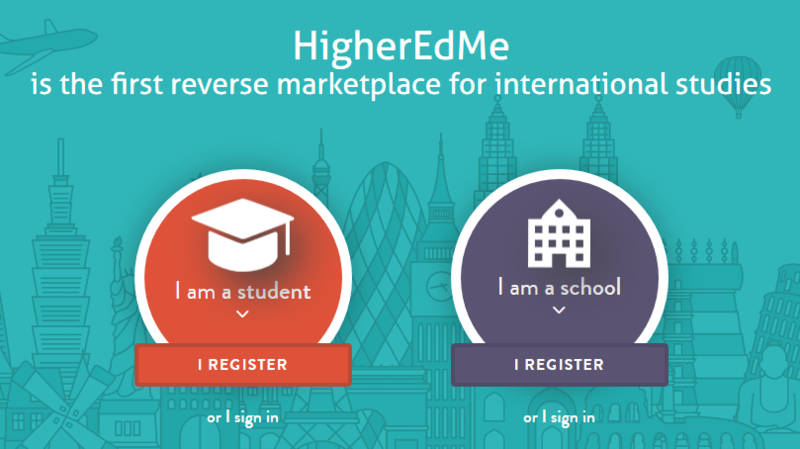 On the HigherEdMe platform, you can find students from all continents, many diverse cities, from all study fields and at all budgets. Diversity is at your doorstep, without spending money in costly campaigns in each country. Building bridges with other universities can be done using shorter programs. It is easier to promote a full degree program when you have local ambassadors. So the best way to start is to set a discovery trip of a few days for teachers and international officers. Then a second step is to promote a cultural and language learning program in a form of a summer school. Finally, you can promote your international degrees using your ambassadors and create traction. You can also use digital marketing to support this traction by displaying the opportunity directly on student’s account of this university.